Ketamine infusions elicit different responses among 3 distinct subgroups of individuals dealing with depression and suicidal ideation. Ketamine infusions elicit different responses among 3 distinct subgroups of individuals dealing with depression and suicidal ideation. One group, remitters, had no suicidal ideation by day 2, and another group, responders, showed improvement independent of depressed mood, according to a study published in the Journal of Affective Disorders. Researchers pooled data from 5 clinical trials involving treatment-resistant individuals with major depressive disorder or bipolar depression (N=128). All participants received a ketamine infusion and were evaluated at baseline and days 1 through 3. Evaluations included plasma markers to monitor neurotrophic factors, kynurenine pathway analytes, inflammatory cytokines, cortisol, and suicidal ideation composite scores to monitor depressed mood, hopelessness, sadness, and suicidal thoughts. At baseline, the mean suicidal ideation score was 0.35 (SD=0.18; scale 0-1) and after treatment, this score decreased overall, but participants fell into 1 of 3 distinct categories. Nonresponders had the highest baseline suicidal ideation score and had no reduction in symptoms by day 3. Responders showed significant improvement in symptoms over the course of treatment. Remitters had a suicidal ideation score of 0 by day 2. At day 1, 71% of remitters, 39% of responders, and 12% of nonresponders showed an antidepressant response with an improvement of depressive symptoms of at least 50%. These changes were significant from baseline to day 3 for the responders and remitters, and the change in depressed mood improved suicidal ideation for remitters but was an independent factor for responders. A history of sexual abuse was associated with being a remitter when compared with nonresponders (OR=4.12, 95% CI, 1.17-14.49), a history of self-injury was associated with not being a remitter when compared with nonresponders (OR=0.08, 95% CI, 0.01-0.70), and high baseline levels of IL-5 were associated with being a remitter when compared with a responder (OR=1.79, 95% CI, 1.07-2.98). 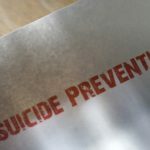 Future studies need to duplicate these results focusing on suicidal thoughts rather than antidepressant symptoms, examine longer follow-up time frames, and utilize different psychological assessment tools. In conclusion, the researchers found 3 distinct subgroups of patients in relation to suicidal ideation and effects of ketamine, with one group’s suicidal ideation completely eliminated and the other group’s improvement independent of depressed mood. These findings warrant further evaluation for a complete understanding of which subgroups could benefit the most from ketamine infusions. This study was supported by the Intramural Research Program at the National Institute of Mental Health, National Institutes of Health. Please refer to reference for a complete list of authors’ disclosures. Ballard ED, Yarrington JS, Farmer CA, et al. Characterizing the course of suicidal ideation response to ketamine. J Affect Disord. 2018; 241:86-93. doi: 10.1016/j.jad.2018.07.077.